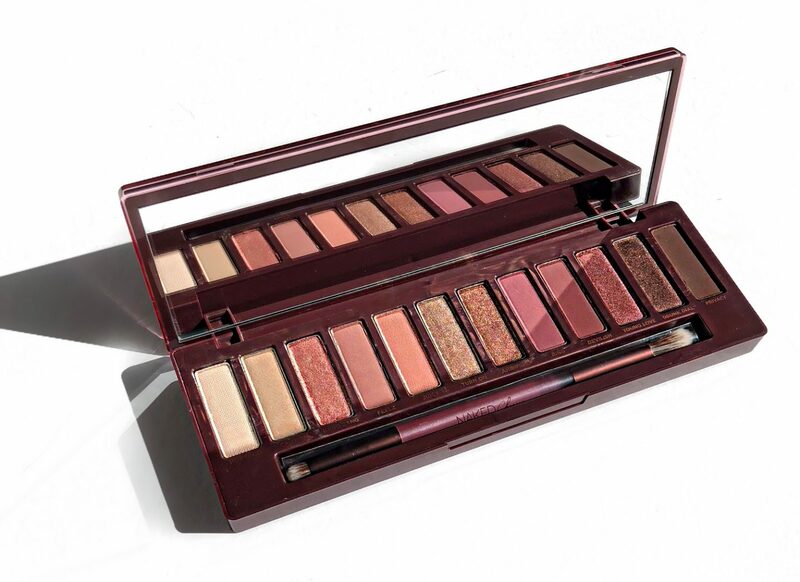 Most makeup addicts can agree on the fact that, Urban Decay’s original Naked Palette, was an all around favourite. Many people learned to create smokey eye looks with that very palette. 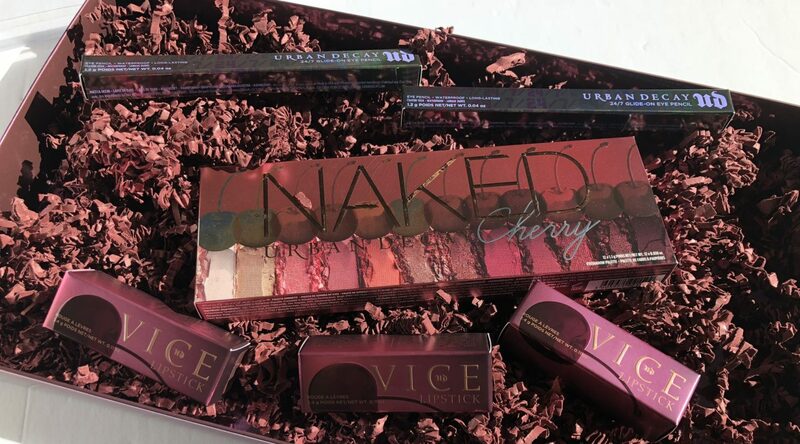 Shortly after the original palette was discontinued, they released the Urban Decay Naked Cherry Collection. 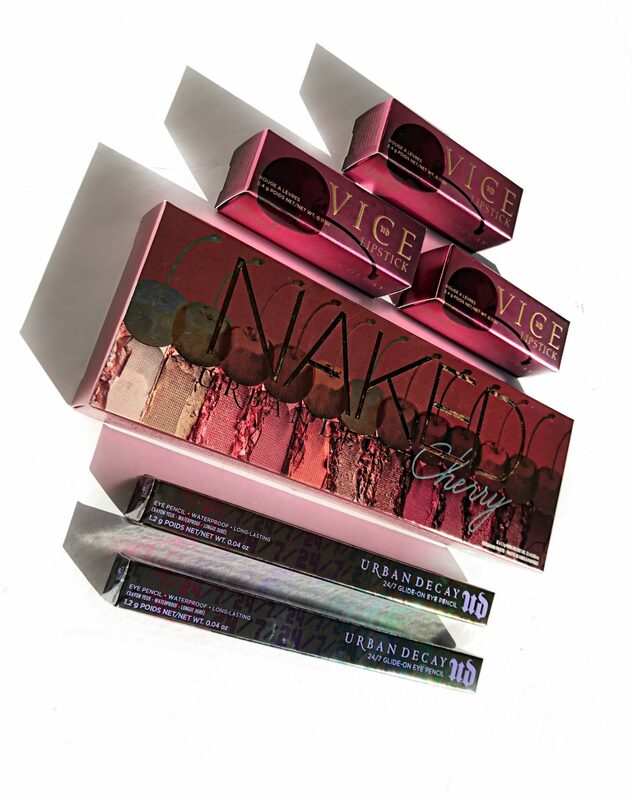 Currently available exclusively online at Urban Decay and set to launch at other retailers, online October 5th, 2018. Today, I’d like to give you a rundown, after generously being allowed to experiment with it. My makeup and home have all transitioned into Fall, which means my burgundy, vino shades are out, front and center. 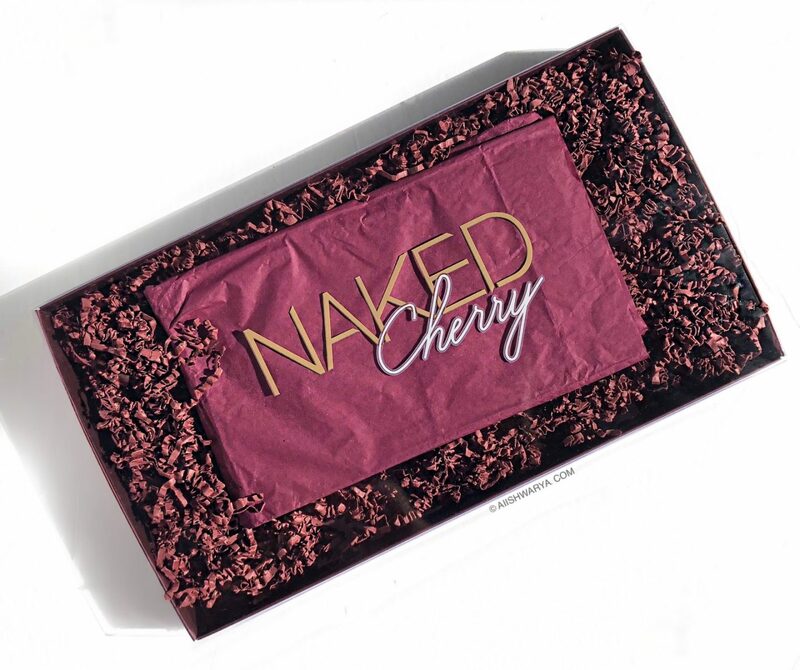 The Naked Cherry Collection is a cross between cherry and cranberry hues. 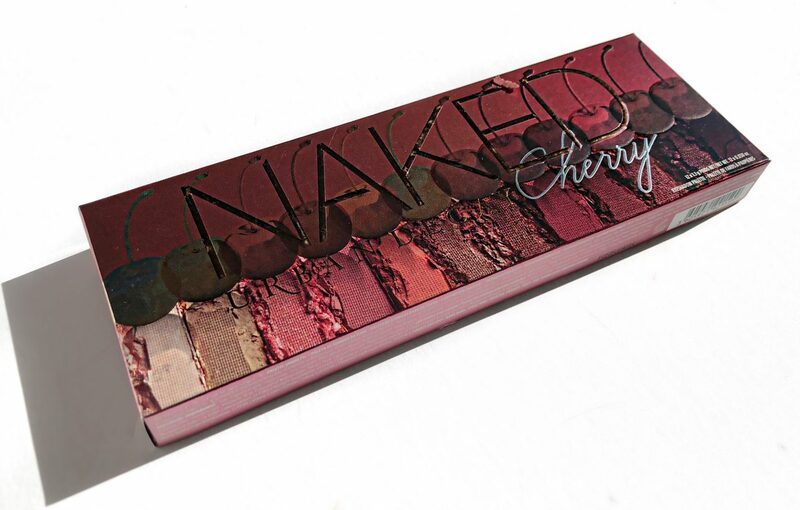 Naked Cherry Glide On Eye Pencils Kicking off this review with the star of the show, the Naked Cherry Eyeshadow Palette, includes 12 sweet, cherry hues. 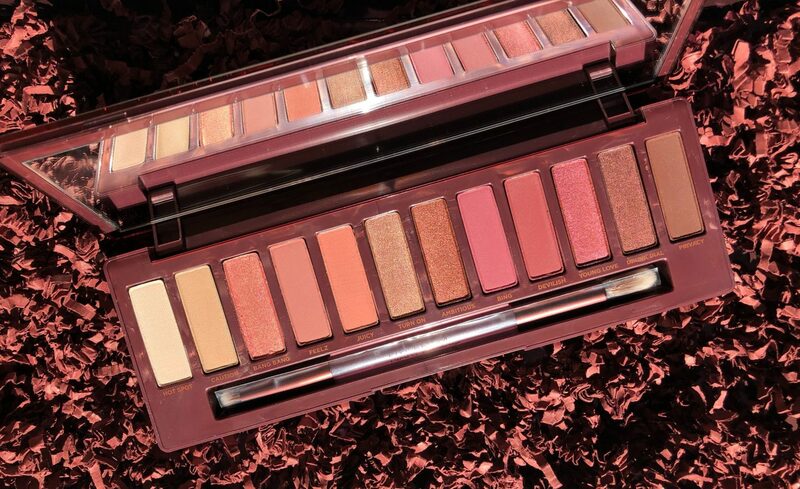 Naked is known to bring out the sultry side in everyone and this palette is no different. I really didn’t think it was possible to create the Naked palette in another colour theme, but surely enough, here we are! The shadows are housed in a luxe palette, designed with cherries, that includes a full mirror and double sided brush. A mix of mattes, shimmer and chrome finishes. 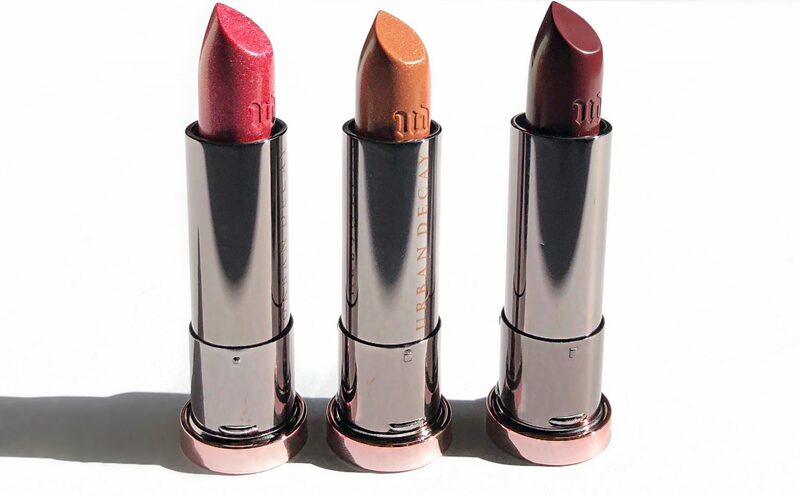 Shades ranging from ivory, rose gold, deep cherry and more.Not to reiterate what you may already know, but Urban Decay’s shadow formulation is superb. 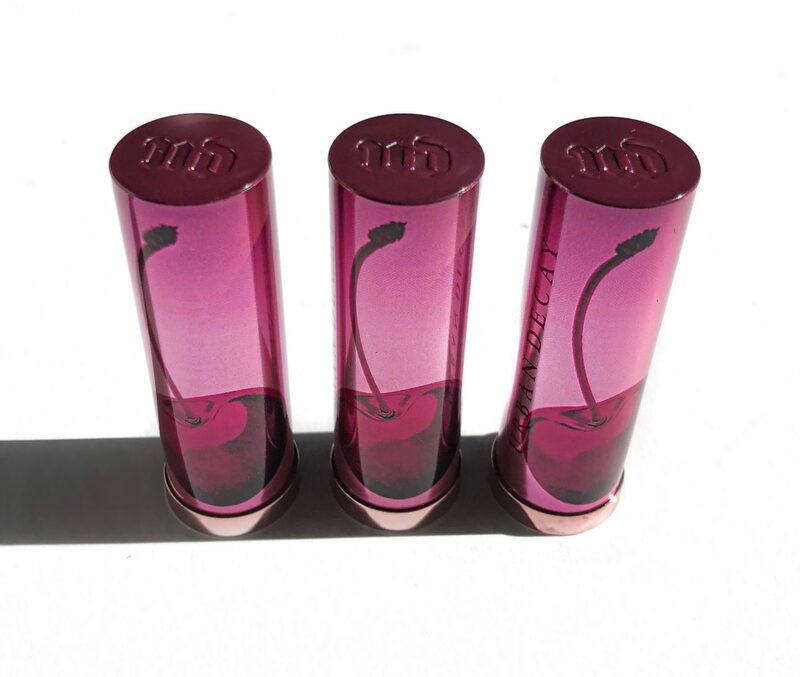 Richly pigmented, velvety smooth and long lasting colour payoff. I would highly, highly recommend using an eye primer as the shadows are very finely milled, which may be why there is a slight amount of fall out. 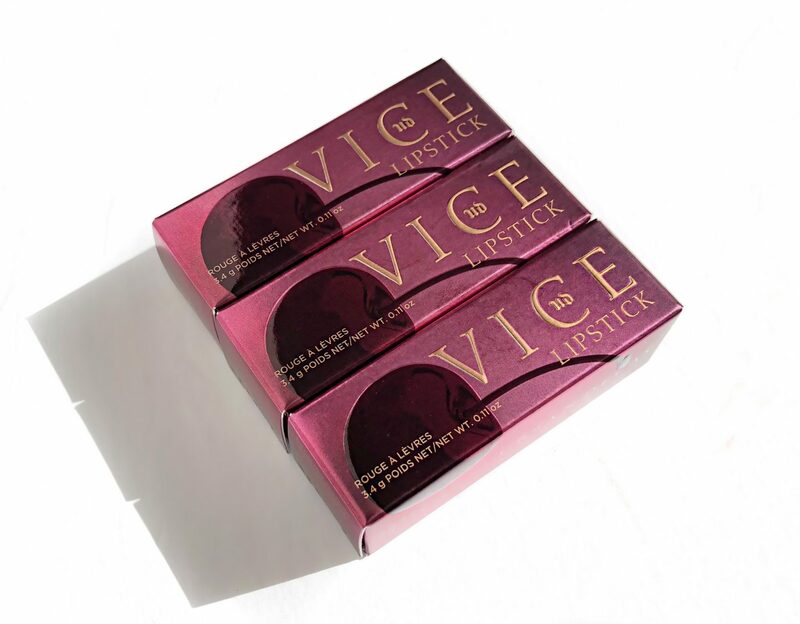 The Naked Cherry Collection also includes 3 Vice Lipsticks, retailing for $22 CAD. The cherry theme continues on to the bullet casings of the Vice Lipsticks. 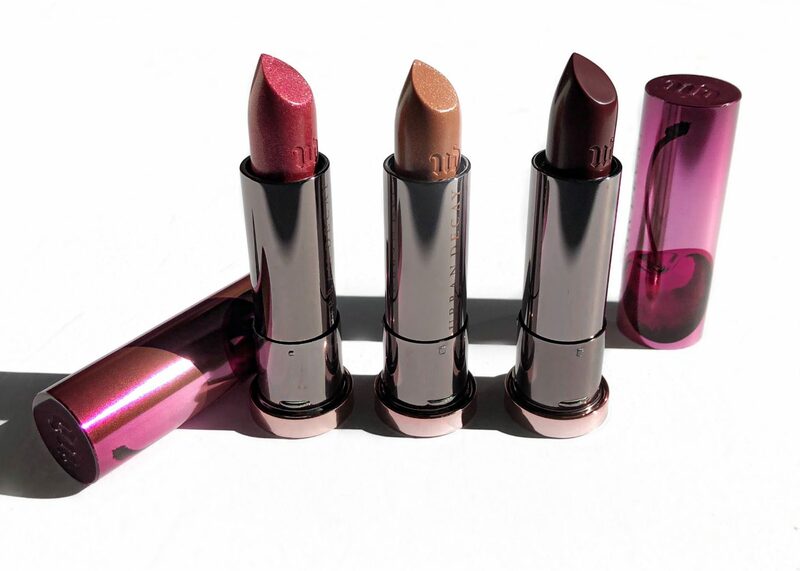 The lipsticks are creamy and incredibly pigmented. The shimmer in the two metallic shades is quite fine and not overpowering. 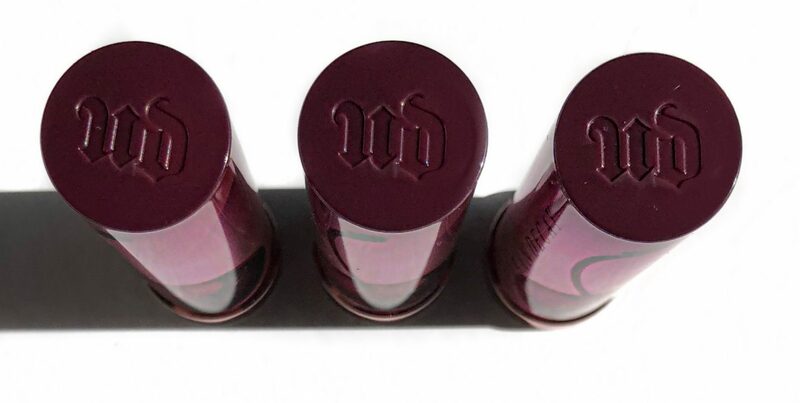 Granted that none of the shades are matte, they provide about a 4 hour wear time until they need to be reapplied. When I first tried the 24/7 Glide On Eye Pencil years ago. I found myself comparing the immensely pigmented and buttery smooth formula to any makeup pencil product I purchased there on after. Long lasting and comfortable to apply? What more could you want from an eye pencil? 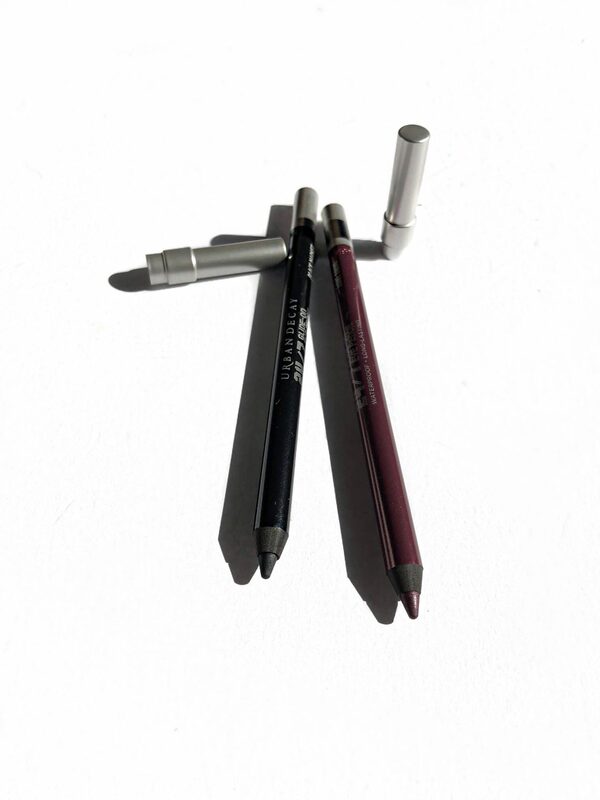 Both shades can be worn along the lash line or used to create a smudged liner look. I am very fond of wearing pencil liners on my waterline and was reminded of how long the 24/7 Glide On Eye Pencil lasts. 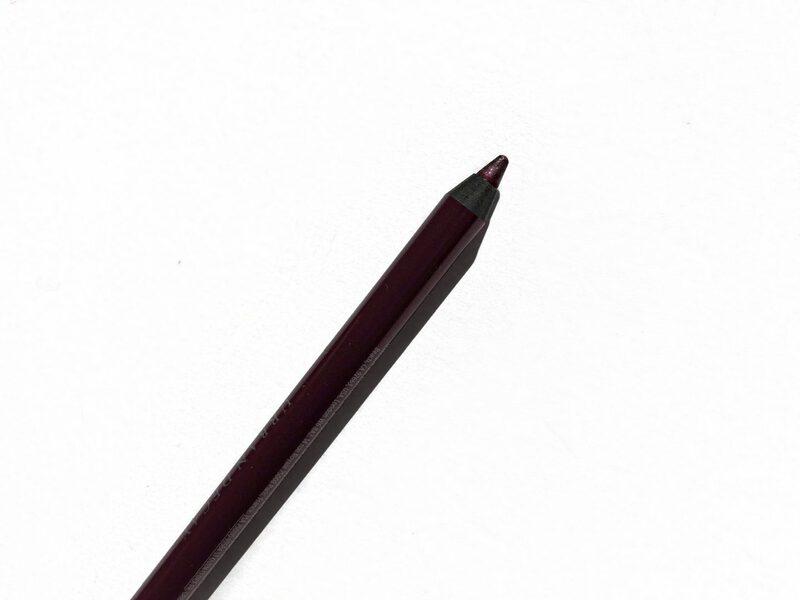 24/7 Glide On Eye Pencils retail for $25 CAD. 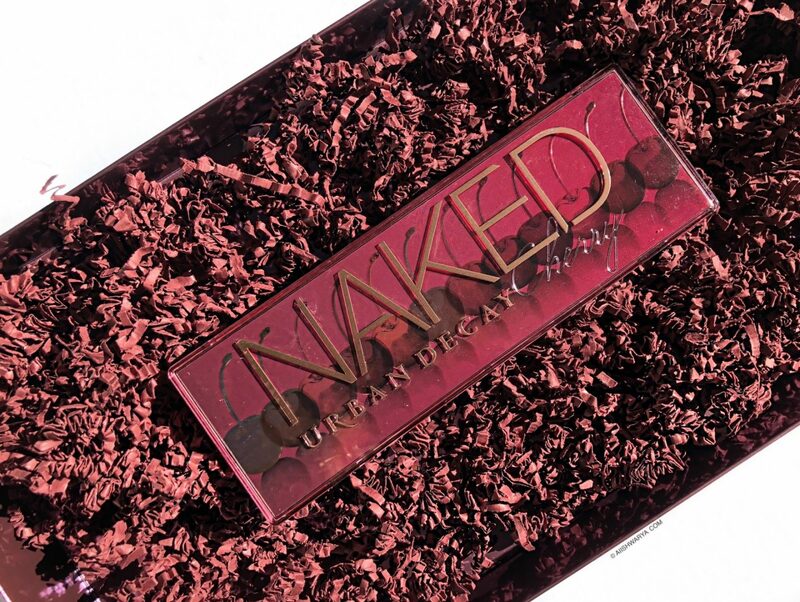 I am beyond excited to put my Naked Cherry Collection in rotation and get comfortable with incorporating these stunning cherry inspired shades into my makeup look. 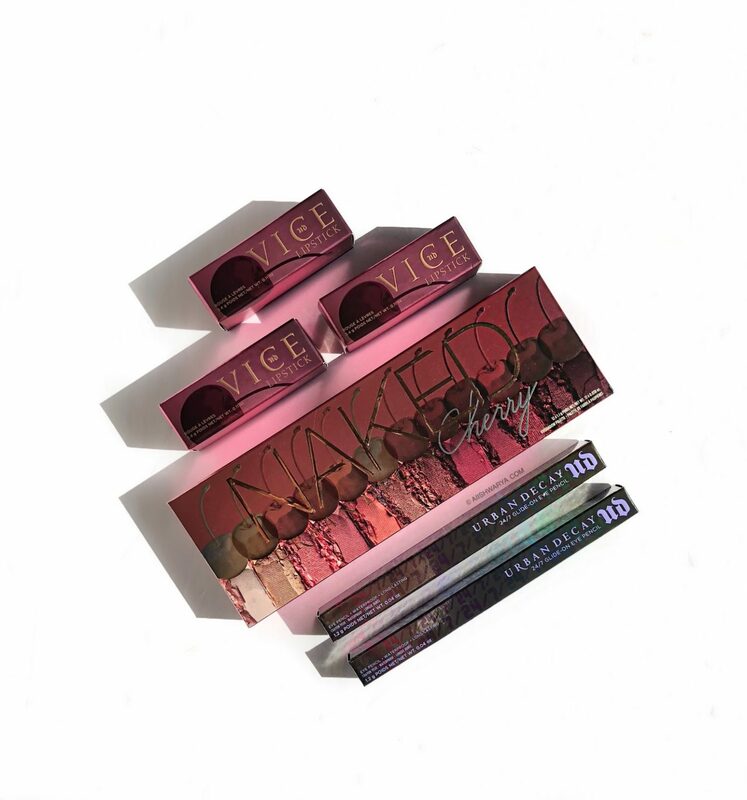 Urban Decay Naked Cherry Collection is currently available online at Urban Decay. It will be available online at Sephora and Beauty Boutique on October 5th and in-store on October 15th at Sephora and Shopper’s Drug Mart.